I haven't changed much since this picture. 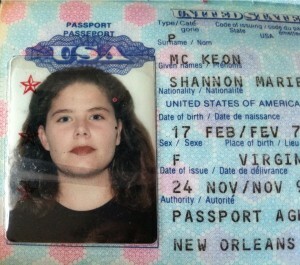 Now I'm 41, a little bit fatter, but the same hairstyle. :) Tomorrow, we return to travel stories! I'll publish my final post and photos from Israel. What's the first country you visited, or dream to visit? I dream about Iceland, Norway and the frozen continent of Antarctica! Correctly is я в 24 года. Come...we welcome everyone. Even Russians! :)) Which State do you want to visit most? You were so pretty and young, looked as 15 years old ))). About dating coworker. I remember I had once, but we were so secretive, all other believed we are the worst enemies, we were arguing all the time ))). But it wasn't really love, so breaking up wasn't difficult. Thanks! I have good family genes. :) Plus, I rarely drink alcohol and have never smoked. These things age people quickly. Passion was a real problem for me in youth...it led to several relationships with the wrong type of men. In my older years, it's definitely easier to control. I've now been celibate for a few years. This is a very, very challenging existence, and the topic is probably worthy of a separate post. :)) I also dream of Norway! Especially after my trip to Alaska. I envision the landscapes are very similar. >>What's the first country you visited, or dream to visit? I love Austria, esp. Salzburg. Cozy little town! My first country was Seychelles (in my 9 yo :) ). It was 1980, the year of the Olympics in Moscow, and my grandfather was the first Soviet ambassador there. Hope to return there one day. Now I visit foreign countries occasionally, for work or for some special purposes like qigong practice. I always dreamed about Canada and Australia, I don't know why )) But my first foreign country was Spain. And the second too! I also dream of Canada! :) Hopefully next summer I'll have a big journey there. I'm starting to plan now. par ma curiosité, parles-tu français? Non, monsieur! I took classes in high school for one year, but do not remember anything! That was over 20 years ago. I read her! She's an amazing woman! I want to go visit her in that forest village. the first and yet the only one country we've been to is Egypt. i'd love to go there once again to take a Nile cruise. but the biggest dream place is GB. Norway is worth visiting. A very beautiful country. I have been there several times and plan to go there again to visit those parts of the country, which I haven't reached before. I'm thinking of the US and Canada but I feel these two countries will show up in my list much later. Norway is also very expensive! This is the main obstacle in traveling there. which nationality are best looking for you? (men and women)? For women, I like the Nordic or Latin look. They are strong, not so skinny, yet still feminine and natural. They don't wear as much make-up as Eastern Euro or Russian women, and I don't like women with faces so painted. I'm scared to know what's underneath. :)) For men, it's too hard! I don't discriminate. However, I like dark hair and strange personalities. A more rugged, mountain man type with a creative or artistic streak. Like this photo. 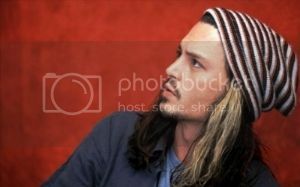 Johnny Depp - hot! :)) How about you? What type of women do you like?